Tuckered out from a journey across the Wild West, cat brothers Anton and Cecil are ready to head east for home--until a minor stop to change trains in Chicago turns into a major escapade. The brothers are recruited by a police bloodhound to help solve a case: puppies are disappearing right off their leashes! Anton and Cecil's search takes them deep into the heart of the 1893 Chicago World's Fair, where they befriend exotic animals, ride the newly invented Ferris Wheel, and look for clues amid the crowds of fairgoers. 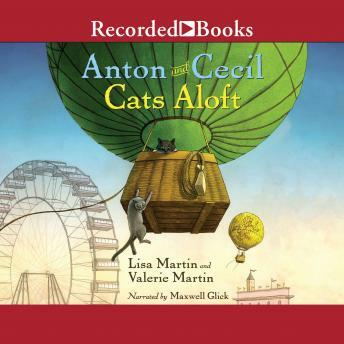 Fans of classic animal adventures such as The Wind in the Willows and Avi's Poppy will love Anton and Cecil's world, brimming with action and rich, true-to-life detail.